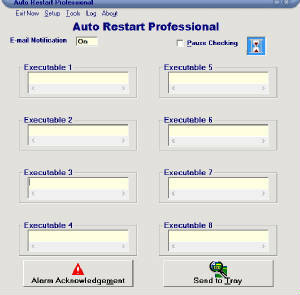 Auto Restart Professional was developed mainly for the use on Servers and is compatible with Win 95, 98, ME, XP, 2000, Vista, Win 7, Windows 8, and Windows 10. 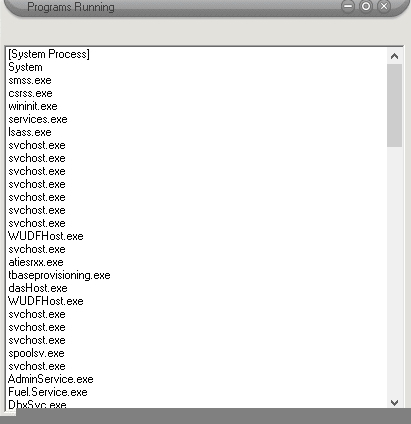 Auto Restart Professional provides the ability to constantly monitor 32 bit applications running on the server. Through experience, we have found that no matter how well the applications have been written, there still are many times when they will crash. 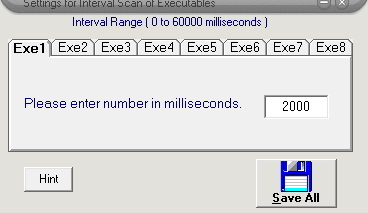 Auto Restart Professional scans the executables (program associated with exe) at a user determined time interval to ensure that they are running. If the executable is not running, Auto Restart Professional will restart the executable that has failed. 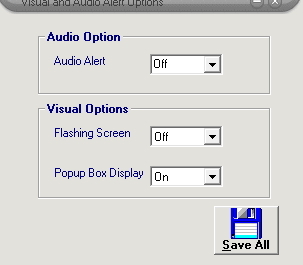 There are also many notification options within Auto Restart Professional. The first is e-mail notification. 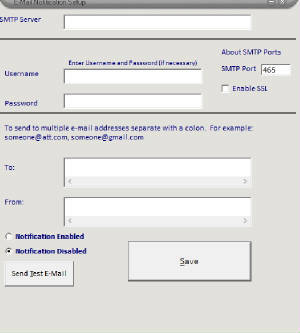 If Auto Restart Professional restarts the failed executable, an e-mail can be sent of this action. Within the e-mail, is the time and executable that was restarted. The second notification can be accomplished by using the command line option. The command line option will execute after a restart. 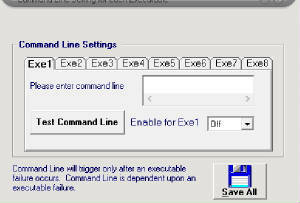 The command line option gives the user more flexibility for providing or interfacing alarms. One usage can be to interface to a paging application. Another would be to run another executable or job after a restart. Other warning indications provided by Auto Restart Professional are audio and visual. All options are user configurable. Auto Restart Professional also provides a descriptive log of events. This log can be used for troubleshooting or just as history. Auto Restart Professional is the safeguard against prolonged failure of applications.